the European, or metropolitan, area of France extends from the Mediterranean Sea to the English Channel and the North Sea, and from the Rhine to the Atlantic Ocean. Overseas France include French Guiana on the South American continent and several island territories in the Atlantic, Pacific and Indian oceans. The European, or metropolitan, area of France extends from the Mediterranean Sea to the English Channel and the North Sea, and from the Rhine to the Atlantic Ocean. Overseas France include French Guiana on the South American continent and several island territories in the Atlantic, Pacific and Indian oceans. It is a unitary semi-presidential republic with the capital in Paris - country's largest city and main cultural and commercial centre. 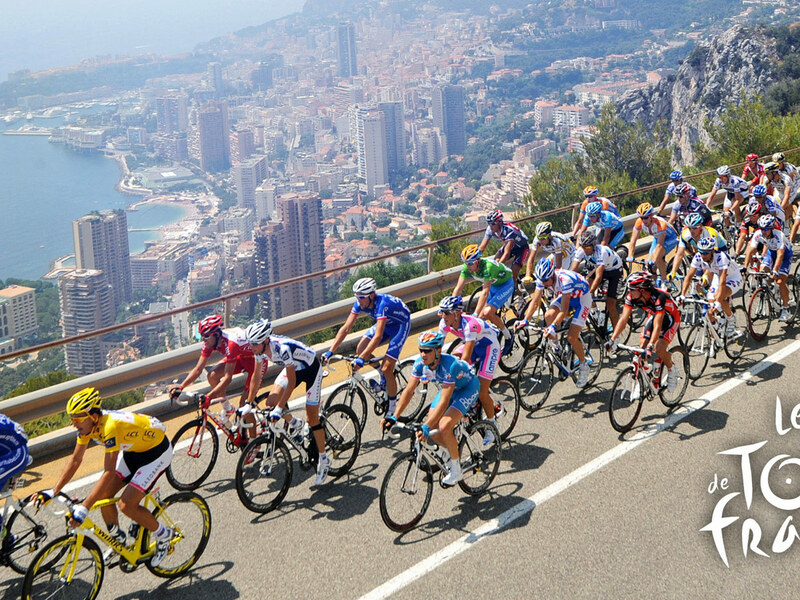 Other major urban centres include Marseille, Lyon, Lille, Nice, Toulouse and Bordeaux. In the 19th century Napoleon took power and established the First French Empire, whose subsequent Napoleonic Wars shaped the course of continental Europe. Following the collapse of the Empire, France endured a tumultuous succession of governments culminating with the establishment of the French Third Republic in 1870. The French Revolution continues to permeate the country's collective memory. The tricolour flag, the anthem "La Marseillaise", and the motto Liberté, egalité, fraternité, defined in Title 1 of the Constitution as national symbols, all emerged during the cultural ferment of the early revolution, along with Marianne, a common national personification. In addition, Bastille Day, the national holiday, commemorates the storming of the Bastille on 14 July 1789. France has long been a global centre of art, science, and philosophy. It hosts Europe's fourth-largest number of cultural UNESCO World Heritage Sites and receives around 83 million foreign tourists annually, the most of any country in the world. France is a developed country with the world's sixth-largest economy by nominal GDP and ninth-largest by purchasing power parity. In terms of aggregate household wealth, it ranks fourth in the world. France performs well in international rankings of education, health care, life expectancy, and human development. rance remains a great power in the world, being one of the five permanent members of the United Nations Security Council with the power to veto and an official nuclear-weapon state. It is a leading member state of the European Union and the Eurozone. It is also a member of the Group of 7, North Atlantic Treaty Organization (NATO), Organisation for Economic Co-operation and Development (OECD), the World Trade Organization (WTO), and La Francophonie. The European part of France is called Metropolitan France and it is located at the Western end of Europe. It is bordered by the North Sea in the north, the English Channel in the northwest, the Atlantic Ocean in the west and the Mediterranean sea in the southeast. It borders Belgium and Luxembourg in the northeast, Germany and Switzerland in the east, Italy and Monaco in the southeast, and Spain and Andorra in the south and southwest. The borders in the south and in the east of the country are mountain ranges: the Pyrenees, the Alps and the Jura, the border in the east is from the Rhine river, while the border in the north and the northeast melts in no natural elements. Due to its shape, it is often referred to in French as l'Hexagone ("The Hexagon"). 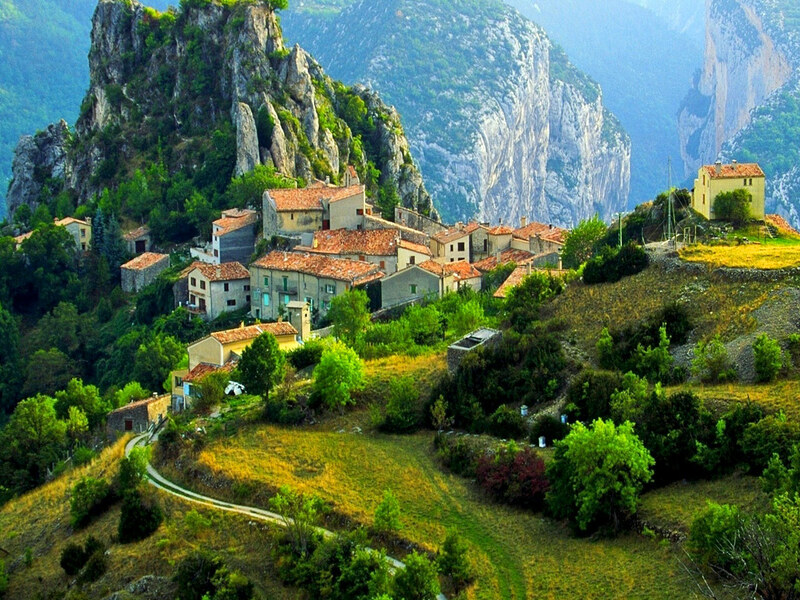 Metropolitan France includes various islands: Corsica and coastal islands. Metropolitan France is situated mostly between latitudes 41° and 51° N, and longitudes 6° W and 10° E, on the western edge of Europe, and thus lies within the northern temperate zone. Its continental part covers about 1000 km from north to south and from east to west. France has Overseas regions across the world. In South America: French Guiana. In the Atlantic Ocean: Saint Pierre and Miquelon and, in the Antilles: Guadeloupe, Martinique, Saint Martin and Saint Barthélemy. In the Pacific Ocean: French Polynesia, the special collectivity of New Caledonia, Wallis and Futuna and Clipperton Island. In the Indian Ocean: Réunion island, Mayotte, Scattered Islands in the Indian Ocean, Crozet Islands, St. Paul and Amsterdam islands. In the Indian Ocean: Kerguelen Islands. France has land borders with Brazil and Suriname in French Guiana and with the Kingdom of the Netherlands through the French part of Saint Martin. The French republic is divided into 18 regions (located in Europe and overseas), 5 overseas collectivities, 1 overseas territory, 1 special collectivity : New Caledonia and 1 uninhabited island directly under the authority of the Minister of Overseas France : Clipperton. Since 2016 France is mainly divided into 18 administrative regions: 13 regions in metropolitan France (including the territorial collectivity of Corsica), and five located overseas. The regions are further subdivided into 101 departments, which are numbered mainly alphabetically. This number is used in postal codes and was formerly used on vehicle number plates. Among the 101 departments of France, five (French Guiana, Guadeloupe, Martinique, Mayotte, and Réunion) are in overseas regions (ROMs) that are also simultaneously overseas departments (DOMs), enjoy exactly the same status as metropolitan departments and are an integral part of the European Union. France is a highly urbanized country, with its largest cities (in terms of metropolitan area population in 2013) being Paris (12,405,426 inh. ), Lyon (2,237,676), Marseille (1,734,277), Toulouse (1,291,517), Bordeaux (1,178,335), Lille (1,175,828), Nice (1,004,826), Nantes(908,815), Strasbourg (773,447) and Rennes (700,675). (Note: There are significant differences between the metropolitan population figures just cited and those in the following table, which only include the core population). Rural flight was a perennial political issue throughout most of the 20th century. The regions, departments and communes are all known as territorial collectivities, meaning they possess local assemblies as well as an executive. Arrondissements and cantons are merely administrative divisions. In addition to the 18 regions and 101 departments, the French Republic has five overseas collectivities (French Polynesia, Saint Barthélemy, Saint Martin, Saint Pierre and Miquelon, and Wallis and Futuna), one sui generis collectivity (New Caledonia), one overseas territory (French Southern and Antarctic Lands), and one island possession in the Pacific Ocean (Clipperton Island). Overseas collectivities and territories form part of the French Republic, but do not form part of the European Union or its fiscal area (with the exception of St. Bartelemy, which seceded from Guadeloupe in 2007). The Pacific Collectivities (COMs) of French Polynesia, Wallis and Futuna, and New Caledonia continue to use the CFP franc whose value is strictly linked to that of the euro. In contrast, the five overseas regions used the French franc and now use the euro. The French Republic is a unitary semi-presidential representative democratic republic with strong democratic traditions. The constitution of the Fifth Republic was approved by referendum on 28 September 1958. It greatly strengthened the authority of the executive in relation to parliament. The executive branch itself has two leaders: the President of the Republic, currently Emmanuel Macron, who is head of state and is elected directly by universal adult suffrage for a 5-year term (formerly 7 years), and the Government, led by the president-appointed Prime Minister. The French parliament is a bicameral legislature comprising a National Assembly (Assemblée Nationale) and a Senate. The National Assembly deputies represent local constituencies and are directly elected for 5-year terms. The Assembly has the power to dismiss the government, and thus the majority in the Assembly determines the choice of government. Senators are chosen by an electoral college for 6-year terms (originally 9-year terms), and one half of the seats are submitted to election every 3 years starting in September 2008. A member of the Group of 7 (formerly G8) leading industrialised countries, as of 2014, it is ranked as the world's ninth largest and the EU's second largest economy by purchasing power parity. With 31 of the 500 biggest companies in the world in 2015, France ranks fourth in the Fortune Global 500, ahead of Germany and the UK. France joined 11 other EU members to launch the euro in 1999, with euro coins and banknotes completely replacing the French franc (₣) in 2002. Financial services, banking and the insurance sector are an important part of the economy. The Paris stock exchange (French: La Bourse de Paris) is an old institution, created by Louis XV in 1724. In 2000, the stock exchanges of Paris, Amsterdam and Bruxelles merged into Euronext. In 2007, Euronext merged with the New York stock exchange to form NYSE Euronext, the world's largest stock exchange. Euronext Paris, the French branch of the NYSE Euronext group is Europe's 2nd largest stock exchange market, behind the London Stock Exchange. 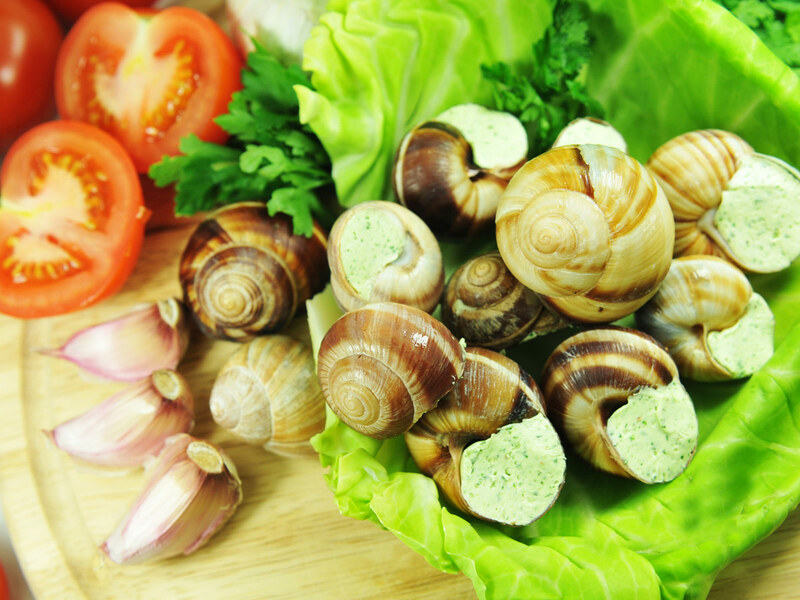 France is part of the European single market which represents more than 500 million consumers. Several domestic commercial policies are determined by agreements among European Union (EU) members and by EU legislation. France introduced the common European currency, the Euro in 2002. It is a member of the Eurozone which represents around 330 million citizens. 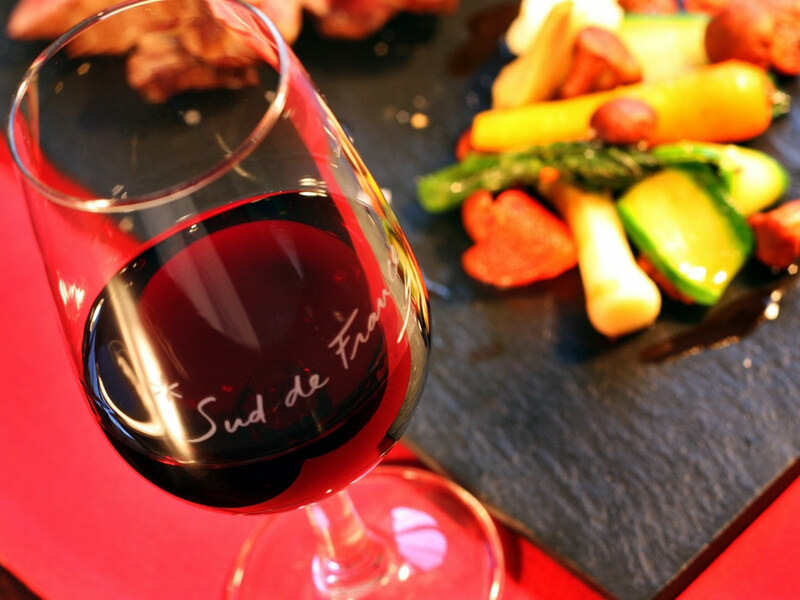 With 83 million foreign tourists in 2012, France is ranked as the first tourist destination in the world, ahead of the US (67 million) and China (58 million). This 83 million figure excludes people staying less than 24 hours, such as North Europeans crossing France on their way to Spain or Italy. It is third in income from tourism due to shorter duration of visits. 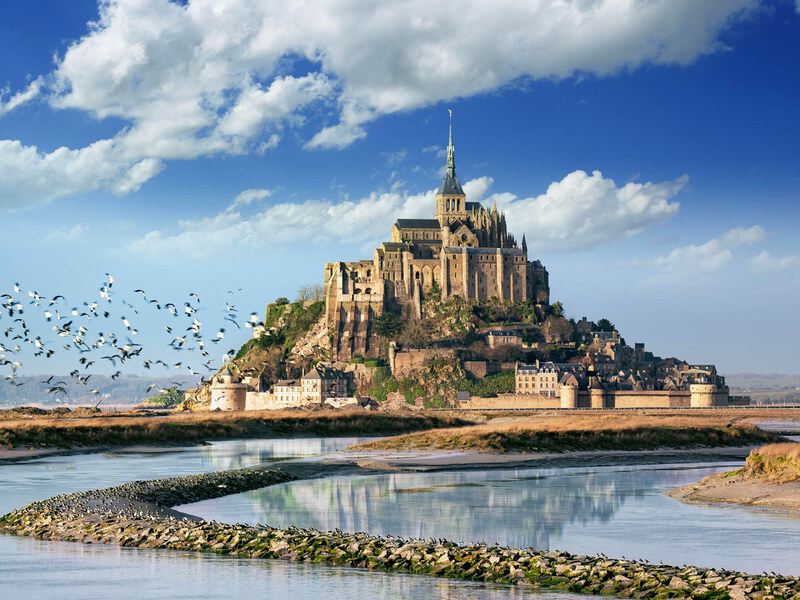 France has 37 sites inscribed in UNESCO's World Heritage List and features cities of high cultural interest, beaches and seaside resorts, ski resorts, and rural regions that many enjoy for their beauty and tranquillity (green tourism). 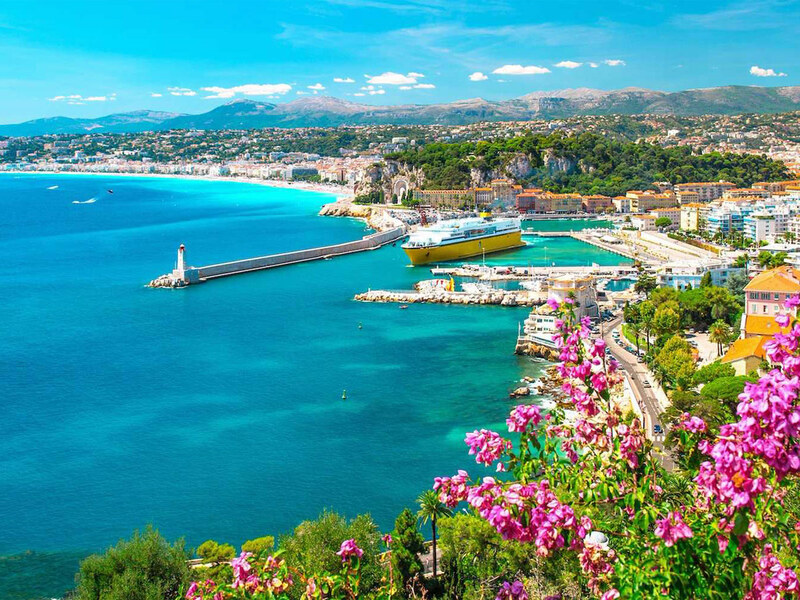 With more than 10 millions tourists a year, the French Riviera (or Côte d'Azur), in south-east France, is the second leading tourist destination in the country, after the Paris region. 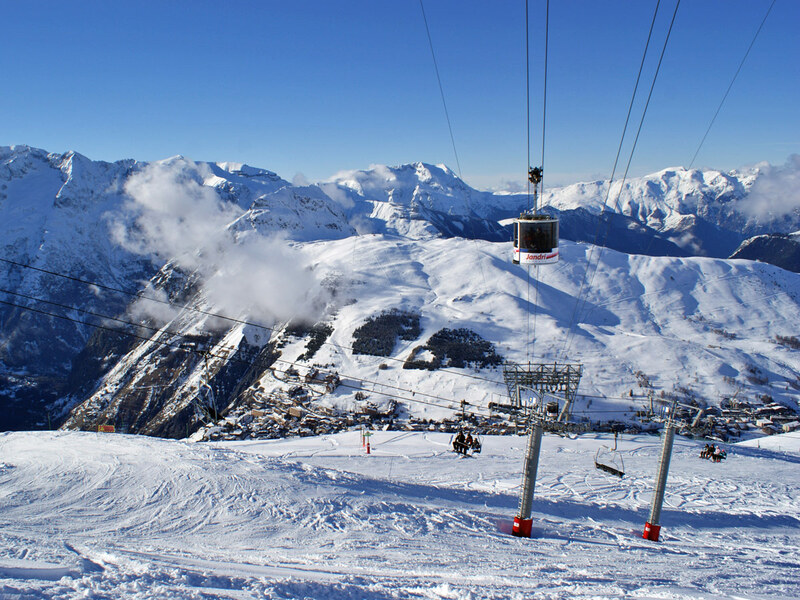 It benefits from 300 days of sunshine per year, 115 kilometres (71 mi) of coastline and beaches, 18 golf courses, 14 ski resorts and 3,000 restaurants. Each year the Côte d'Azur hosts 50% of the world's superyachtfleet. 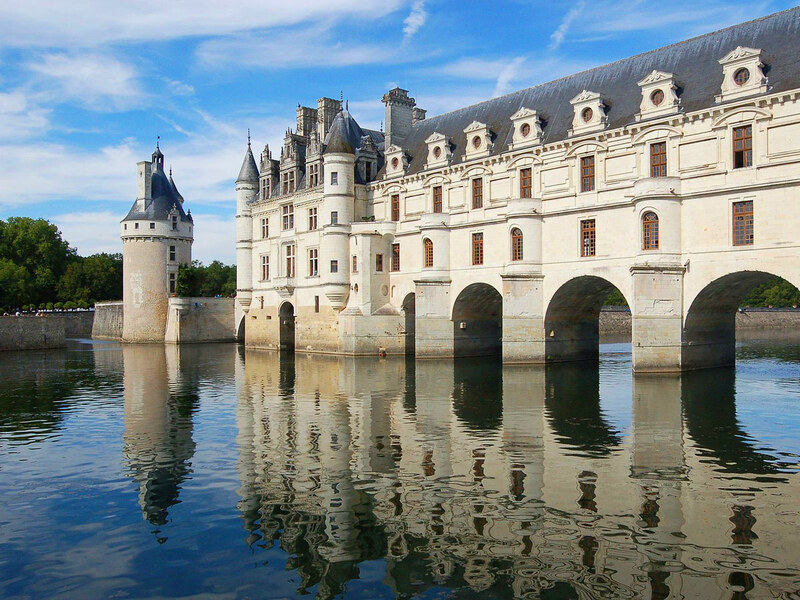 Another major destination are the Châteaux of the Loire Valley, this World Heritage Site is noteworthy for its architectural heritage, in its historic towns but in particular its castles (châteaux), such as the Châteaux d'Amboise, de Chambord, d'Ussé, de Villandry and Chenonceau. 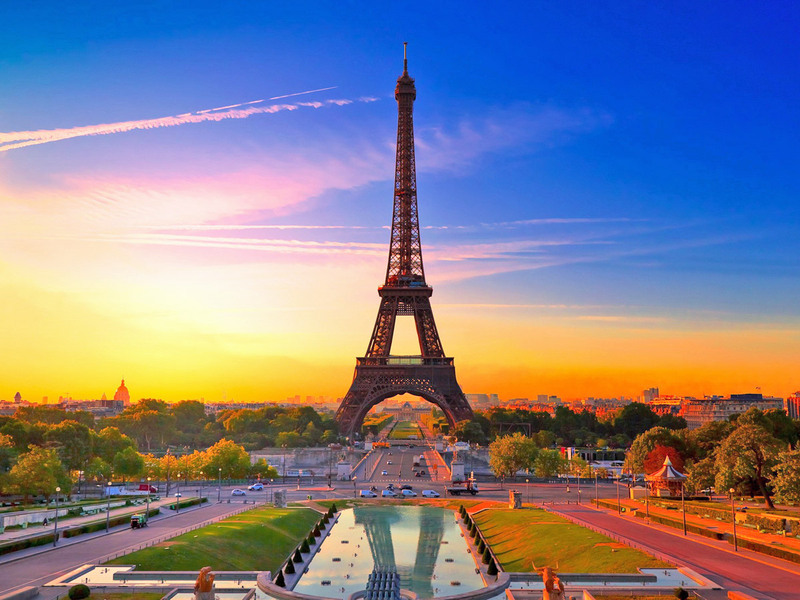 The most popular tourist sites include: (according to a 2003 ranking visitors per year): Eiffel Tower (6.2 million), Louvre Museum (5.7 million), Palace of Versailles (2.8 million), Musée d'Orsay (2.1 million), Arc de Triomphe (1.2 million), Centre Pompidou (1.2 million), Mont Saint-Michel (1 million), Château de Chambord (711,000), Sainte-Chapelle (683,000), Château du Haut-Kœnigsbourg (549,000), Puy de Dôme (500,000), Musée Picasso (441,000), Carcassonne (362,000). Fashion has been an important industry and cultural export of France since the 17th century, and modern "haute couture" originated in Paris in the 1860s. 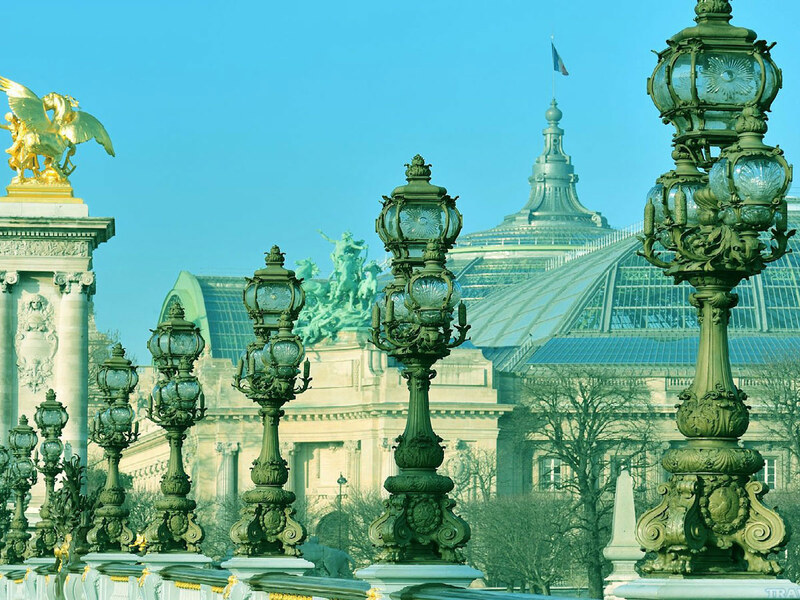 Today, Paris, along with London, Milan, and New York City, is considered one of the world's fashion capitals, and the city is home or headquarters to many of the premier fashion houses. The expression Haute couture is, in France, a legally protected name, guaranteeing certain quality standards. The association of France with fashion and style (French: la mode) dates largely to the reign of Louis XIV when the luxury goods industries in France came increasingly under royal control and the French royal court became, arguably, the arbiter of taste and style in Europe. But France renewed its dominance of the high fashion (French: couture or haute couture) industry in the years 1860–1960 through the establishing of the great couturier houses such as Chanel, Dior, and Givenchy. 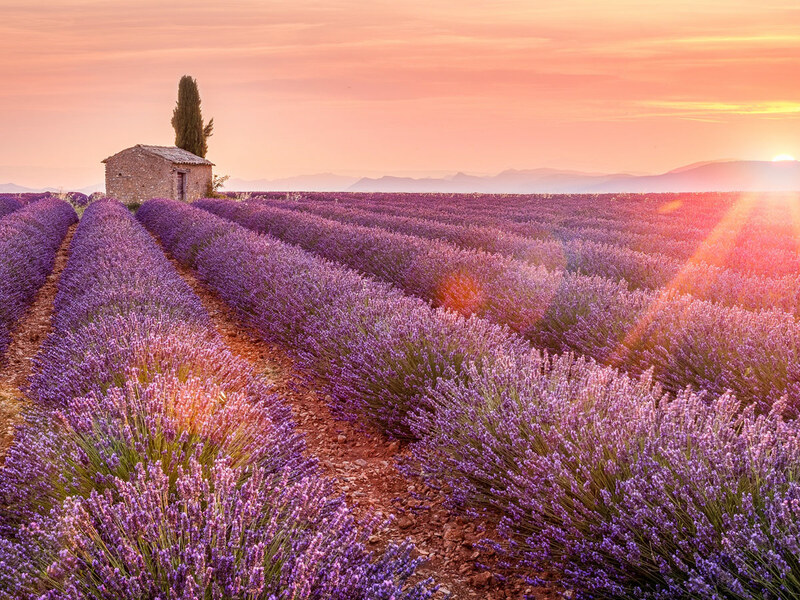 The French perfume industry is world leader in its sector and is centered on the town of Grasse. The railway network of France, which as of 2008 stretches 29,473 kilometres (18,314 mi) is the second most extensive in Western Europe after that of Germany. 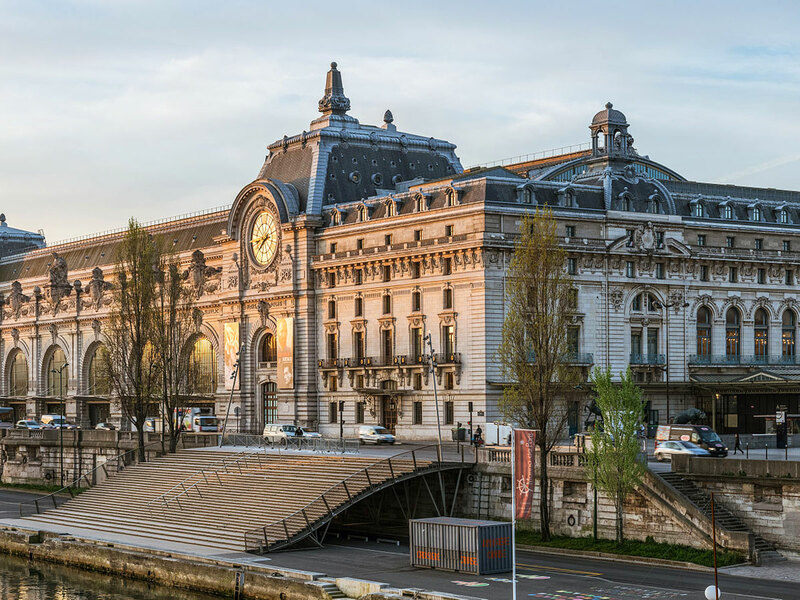 It is operated by the SNCF, and high-speed trains include the Thalys, the Eurostar and TGV, which travels at 320 km/h (199 mph) in commercial use. The Eurostar, along with the Eurotunnel Shuttle, connects with the United Kingdom through the Channel Tunnel. Rail connections exist to all other neighbouring countries in Europe, except Andorra. Intra-urban connections are also well developed with both underground services (Paris, Lyon, Lille, Marseille, Toulouse, Rennes) and tramway services (Nantes, Strasbourg, Bordeaux, Grenoble, Montpellier...) complementing bus services. There are approximately 1,027,183 kilometres (638,262 mi) of serviceable roadway in France, ranking it the most extensive network of the European continent. The Paris region is enveloped with the most dense network of roads and highways that connect it with virtually all parts of the country. French roads also handle substantial international traffic, connecting with cities in neighbouring Belgium, Luxembourg, Germany, Switzerland, Italy, Spain, Andorra and Monaco. There is no annual registration fee or road tax; however, usage of the mostly privately owned motorways is through tolls except in the vicinity of large communes. There are 464 airports in France. Charles de Gaulle Airport, located in the vicinity of Paris, is the largest and busiest airport in the country, handling the vast majority of popular and commercial traffic and connecting Paris with virtually all major cities across the world. Air France is the national carrier airline, although numerous private airline companies provide domestic and international travel services. the largest of which is in Marseille, which also is the largest bordering the Mediterranean Sea. 12,261 kilometres (7,619 mi) of waterways traverse France including the Canal du Midi, which connects the Mediterranean Sea to the Atlantic Ocean through the Garonne river. Most French people are of Celtic (Gauls) origin, with an admixture of Latin (Romans) and Germanic (Franks) groups. Different regions reflect this diverse heritage, with notable Breton elements in western France, Aquitanian in the southwest, Scandinavian in the northwest, Alemannic in the northeast and Ligurian influence in the southeast. Large-scale immigration over the last century and a half has led to a more multicultural society. In 2004, the Institut Montaigne estimated that within Metropolitan France, 51 million people were White (85% of the population), 6 million were North African (10%), 2 million were Black (3.3%), and 1 million were Asian (1.7%). According to Article 2 of the Constitution, the official language of France is French, a Romance language derived from Latin. Since 1635, the Académie française has been France's official authority on the French language, although its recommendations carry no legal power. The French government does not regulate the choice of language in publications by individuals but the use of French is required by law in commercial and workplace communications. From the 17th to the mid-20th century, French served as the pre-eminent international language of diplomacy and international affairs as well as a lingua franca among the educated classes of Europe. The dominant position of French language in international affairs was overtaken by English, since the emergence of the US as a major power. Catholicism has been the predominant religion in France for more than a millennium, though it is not as actively practised today as it was. Among the 47,000 religious buildings in France, 94% are Roman Catholic. While in 1965, 81% of the French declared themselves to be Catholics, in 2009 this proportion was 64%. Moreover, while 27% of the French went to Mass once a week or more in 1952, only 5% did so in 2006. The same survey found that Protestantsaccounted for 3% of the population, an increase from previous surveys, and 5% adhered to other religions, with the remaining 28% stating they had no religion. Evangelicalism may be the fastest growing religious category in France. According to Eurobarometer poll in 2012, Christianity is the largest religion in France, accounting for 60% of French citizens. Catholics are the largest Christian group in France, accounting for 50% of French citizens, while Protestants make up 8%, and other Christians make up 2%. Non believer / Agnostic account for 20%, Atheist 13%, and Muslim 6%. Nowadays, the schooling system in France is centralised, and is composed of three stages, primary education, secondary education, and higher education. Primary and secondary education are predominantly public, run by the Ministry of National Education. In France, education is compulsory from six to sixteen years old, and the public school is secular and free. While training and remuneration of teachers and the curriculum are the responsibility of the state centrally, the management of primary and secondary schools is overseen by local authorities. Primary education comprises two phases, nursery school (école maternelle) and elementary school (école élémentaire). Nursery school aims to stimulate the minds of very young children and promote their socialisation and development of a basic grasp of language and number. Around the age of six, children transfer to elementary school, whose primary objectives are learning about writing, arithmetic and citizenship. Secondary education also consists of two phases. The first is delivered through colleges (collège) and leads to the national certificate (Diplôme national du brevet (fr)). The second is offered in high schools (lycée) and finishes in national exams leading to a baccalaureate (baccalauréat, available in professional, technical or general flavours) or certificate of professional competence (certificat d'aptitude professionelle). Higher education is divided between public universities and the prestigious and selective Grandes écoles. The 43,180 buildings protected as historical monuments include mainly residences (many castles, or châteaux in French) and religious buildings (cathedrals, basilicas, churches, etc. ), but also statutes, memorials and gardens. The UNESCO inscribed 41 sites in France on the World Heritage List. The origins of French art were very much influenced by Flemish art and by Italian art at the time of the Renaissance. Jean Fouquet, the most famous medieval French painter, is said to have been the first to travel to Italy and experience the Early Renaissance at first hand. The Renaissance painting School of Fontainebleau was directly inspired by Italian painters such as Primaticcio and Rosso Fiorentino, who both worked in France. Two of the most famous French artists of the time of Baroque era, Nicolas Poussin and Claude Lorrain, lived in Italy. French artists developed the rococo style in the 18th century, as a more intimate imitation of old baroque style, the works of the court-endorsed artists Antoine Watteau, François Boucher and Jean-Honoré Fragonard being the most representative in the country. The French Revolution brought great changes, as Napoleon favoured artists of neoclassic style such as Jacques-Louis David and the highly influential Académie des Beaux-Arts defined the style known as Academism. At this time France had become a centre of artistic creation, the first half of the 19th century being dominated by two successive movements, at first Romanticism with Théodore Géricault and Eugène Delacroix, and Realism with Camille Corot, Gustave Courbet and Jean-François Millet, a style that eventually evolved into Naturalism. In the second part of the 19th century, France's influence over painting became even more important, with the development of new styles of painting such as Impressionism and Symbolism. The most famous impressionist painters of the period were Camille Pissarro, Édouard Manet, Edgar Degas, Claude Monet and Auguste Renoir. The second generation of impressionist-style painters, Paul Cézanne, Paul Gauguin, Toulouse-Lautrec and Georges Seurat, were also at the avant-garde of artistic evolutions, as well as the fauvist artists Henri Matisse, André Derain and Maurice de Vlaminck. At the beginning of the 20th century, Cubism was developed by Georges Braque and the Spanish painter Pablo Picasso, living in Paris. Other foreign artists also settled and worked in or near Paris, such as Vincent van Gogh, Marc Chagall, Amedeo Modigliani and Wassily Kandinsky. During the Middle Ages, many fortified castles were built by feudal nobles to mark their powers. Some French castles that survived are Chinon, Château d'Angers, the massive Château de Vincennes and the so-called Cathar castles. During this era, France had been using Romanesque architecture like most of Western Europe. Some of the greatest examples of Romanesque churches in France are the Saint Sernin Basilica in Toulouse, the largest romanesque church in Europe, and the remains of the Cluniac Abbey. The Gothic architecture, originally named Opus Francigenum meaning "French work", was born in Île-de-France and was the first French style of architecture to be copied in all Europe. 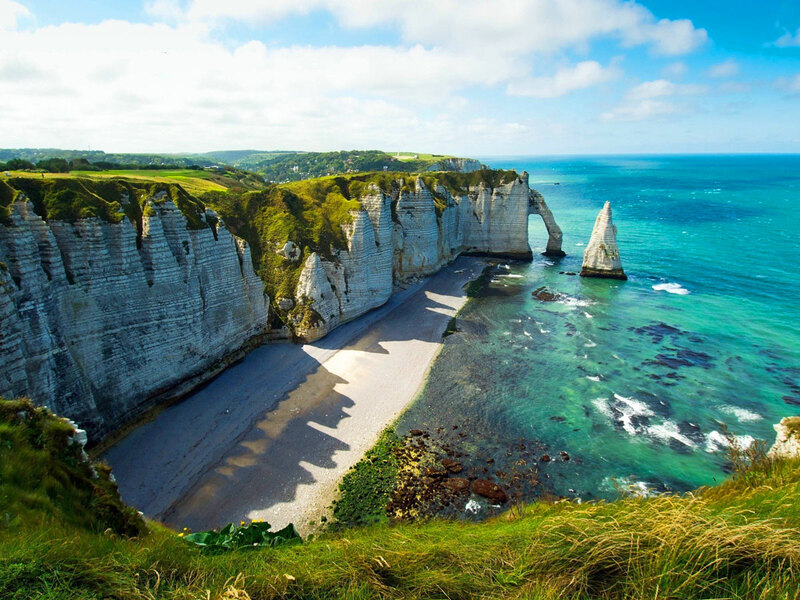 Northern France is the home of some of the most important Gothic cathedrals and basilicas, the first of these being the Saint Denis Basilica (used as the royal necropolis); other important French Gothic cathedrals are Notre-Dame de Chartres and Notre-Dame d'Amiens. The kings were crowned in another important Gothic church: Notre-Dame de Reims. Aside from churches, Gothic Architecture had been used for many religious palaces, the most important one being the Palais des Papes in Avignon. The final victory in the Hundred Years' War marked an important stage in the evolution of French architecture. 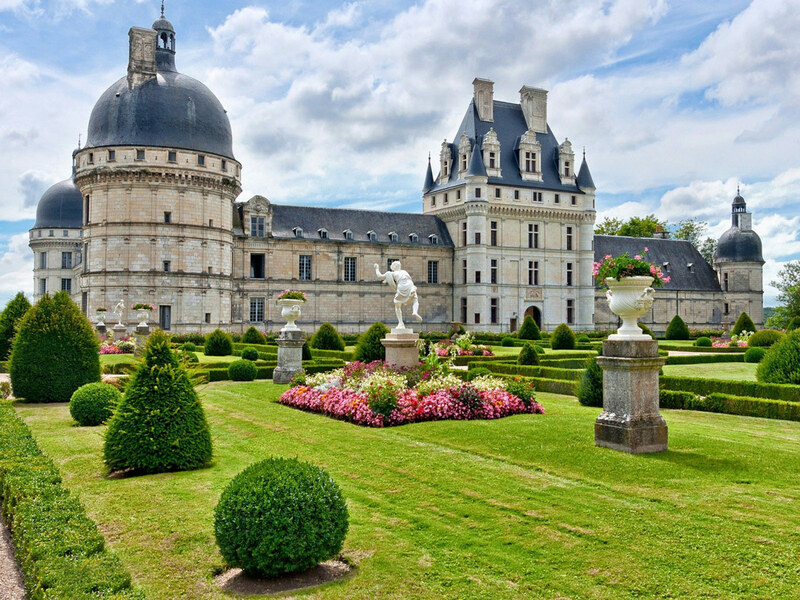 It was the time of the French Renaissance and several artists from Italy were invited to the French court; many residential palaces were built in the Loire Valley. Such residential castles were the Château de Chambord, the Château de Chenonceau, or the Château d'Amboise. Following the renaissance and the end of the Middle Ages, Baroque architecture replaced the traditional Gothic style. However, in France, baroque architecture found a greater success in the secular domain than in a religious one. In the secular domain, the Palace of Versailles has many baroque features. Jules Hardouin Mansart, who designed the extensions to Versailles, was one of the most influential French architect of the baroque era; he is famous for his dome at Les Invalides. Some of the most impressive provincial baroque architecture is found in places that were not yet French such as the Place Stanislas in Nancy. On the military architectural side, Vauban designed some of the most efficient fortresses in Europe and became an influential military architect; as a result, imitations of his works can be found all over Europe, the Americas, Russia and Turkey. After the Revolution, the Republicans favoured Neoclassicism although neoclassicism was introduced in France prior to the revolution with such building as the Parisian Pantheon or the Capitole de Toulouse. Built during the first French Empire, the Arc de Triomphe and Sainte Marie-Madeleine represent the best example of Empire style architecture. extravagant buildings such as the neo-baroque Palais Garnier were built. 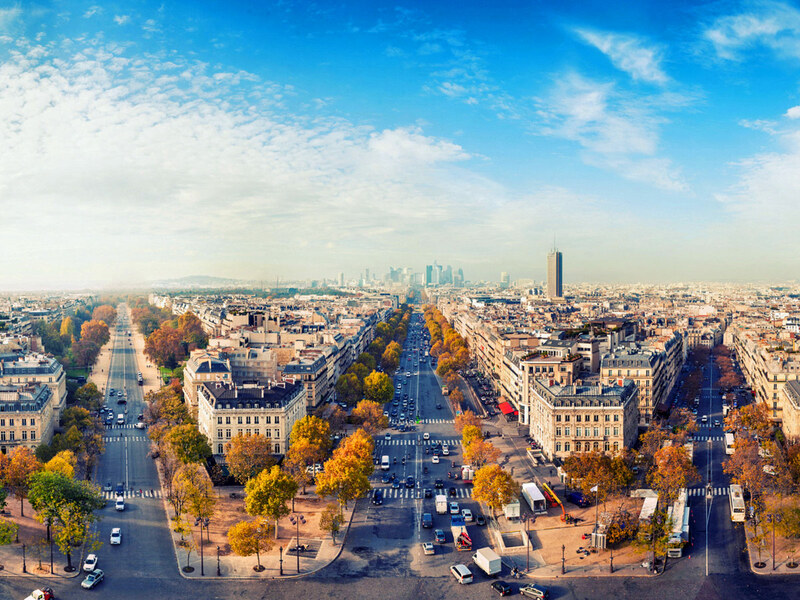 The urban planning of the time was very organised and rigorous; for example, Haussmann's renovation of Paris. The architecture associated to this era is named Second Empire in English, the term being taken from the Second French Empire. At this time there was a strong Gothic resurgence across Europe and in France; the associated architect was Eugène Viollet-le-Duc. In the late 19th century, Gustave Eiffel designed many bridges, such as Garabit viaduct, and remains one of the most influential bridge designers of his time, although he is best remembered for the iconic Eiffel Tower. In the 20th century, French-Swiss architect Le Corbusier designed several buildings in France. More recently, French architects have combined both modern and old architectural styles. The Louvre Pyramid is an example of modern architecture added to an older building. The most difficult buildings to integrate within French cities are skyscrapers, as they are visible from afar. For instance, in Paris, since 1977, new buildings had to be under 37 meters (121 feet). France's largest financial district is La Defense, where a significant number of skyscrapers are located. Other massive buildings that are a challenge to integrate into their environment are large bridges; an example of the way this has been done is the Millau Viaduct. Some famous modern French architects include Jean Nouvel, Dominique Perrault, Christian de Portzamparc or Paul Andreu. France has historical and strong links with cinema, with two Frenchmen, Auguste and Louis Lumière (known as the Lumière Brothers) having created cinema in 1895. Several important cinematic movements, including the late 1950s and 1960s Nouvelle Vague, began in the country. 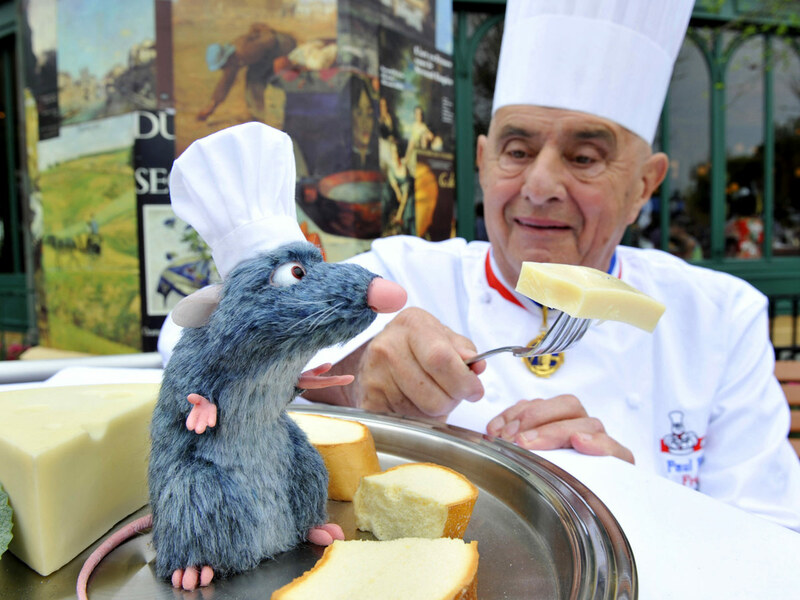 It is noted for having a particularly strong film industry, due in part to protections afforded by the French government. France remains a leader in filmmaking, as of 2006 producing more films than any other European country. The nation also hosts the Cannes Festival, one of the most important and famous film festivals in the world.